AfricaCom TV caught up with Herman Singh, MTN's Group Chief Digital Officer, during the 20th anniversary event. Singh discussed the role of mobile as a platform for expanding the African digital economy and mapping Africa's journey through the 4th Industrial Revolution. What are the hallmarks of a successful African broadcaster, how can the industry remain sustainable in the long term and what does the future hold for African media? AfricaCom TV sat down with CEO and Chairman of Channels Media Group, John Momoh. 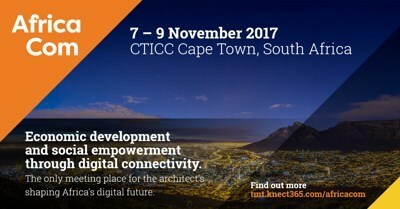 AfricaCom is the largest and most influential Africa-focused tech event in the world – the meeting place for those driving Africa’s digital transformation. The event is now a week-long festival of thought-provoking content, immersive satellite events, and unique networking experiences. Join us for live streaming of speakers at Africa Com! The live stream will start at 9:00 am Cape Town/2:00 am New York. The bigger, better, bolder AfricaCom is here: AfricaCom has now evolved into a week-long festival of tech, telco and digital events. Chris Wood, CEO of wholesale network operator WIOCC, talks about the network capacity drivers in Africa and the digital transformation underway in Somalia. Huawei Principal Consultant Nigel Bruin talks about how National Broadband Networks are going to be the major linchpin for connectivity development on the African continent, providing high-quality access to key cloud and IoT services.